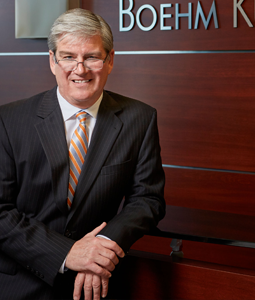 John is a founding partner of Boehm, Kurtz & Lowry. John represents small and mid-sized privately held companies and entrepreneurs with transactions and business planning, as well as individuals and families with wills, trusts, estate planning and asset protection planning. John provides representation in particular to numerous health care professionals.